The funding, which was delivered through the Federal Liberal Government’s Community Development Grants Programme, will see significant upgrades to Cunliffe Street, Hopkins Street and Grace Darling Park area with a view to revamp the aesthetic of the popular coastal town. Mr Porter said this was an important project for the town of Lancelin which will benefit the whole community. “Our Government is delivering local investment that our communities expect and deserve,” Mr Porter said. 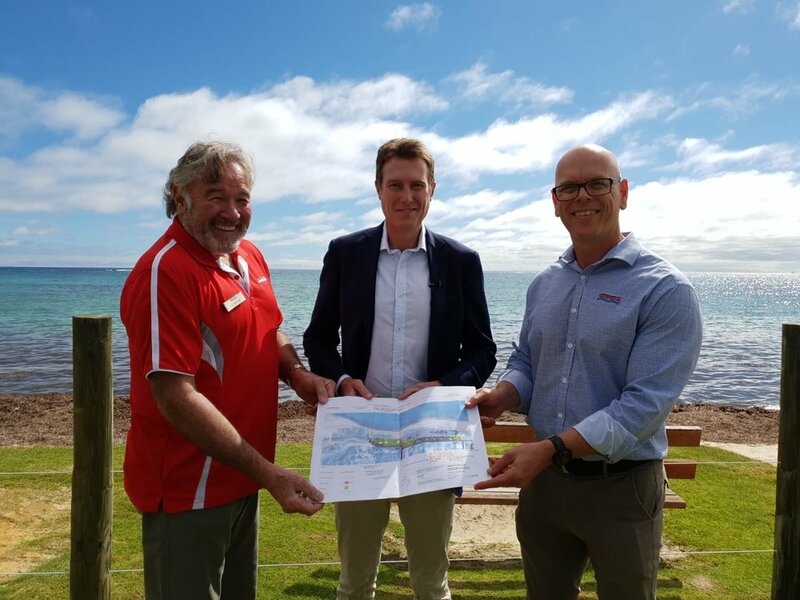 “This project will not only benefit the people of Lancelin but work to enhance tourism in the area. Shire of Gingin Chief Executive Officer, Aaron Cook, said the investment will serve to enhance the vibrancy of the town. The Shire of Gingin will be responsible for managing the delivery of this project.